If you haven’t seen the Lego Movie yet, you won’t know the significance of Taco Tuesday. I don’t want to be a spoiler so I will let you enjoy finding out when you go. We saw the movie. Hilarious! A must-see for anyone who has ever had a child who played with Legos or played with Legos themselves. 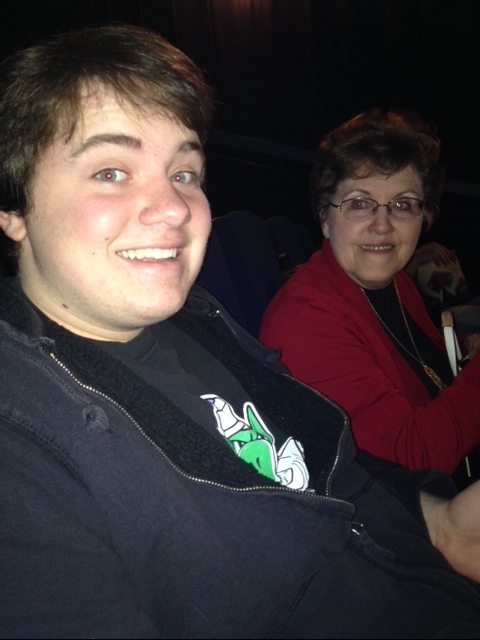 Here we are at the movie. 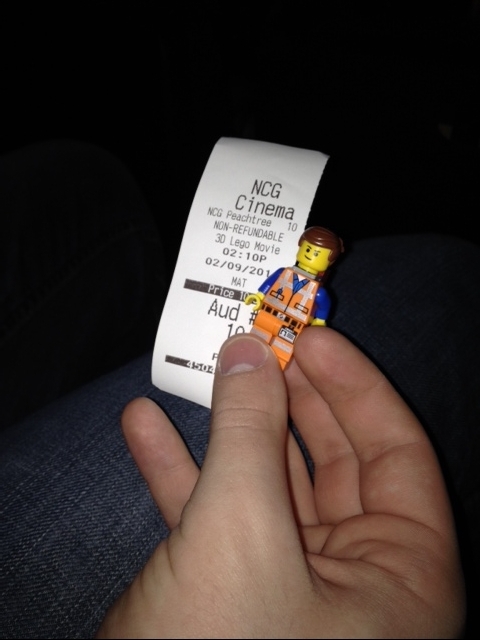 Davis even brought his Emmett Lego man. For our Taco Tuesday we made some delicious refried black beans. Really good with chips and salsa. And tacos, of course. Cook the onions and garlic in 1 tablespoon olive oil. Add the black beans and seasonings. Cook until heated through. Use an immersion blender or simply mash beans with a spoon for desired consistency. Serve with sour cream and tortilla chips.